Well, the Jets home opener did not go as well as it could of. A loss combined with the loss of a fantastic defensive force in Kris Jenkins has left Jets’ fans pessimistic. But, like I have said, let’s wait to see how things go next week. But, do you want some good news Jets fans. 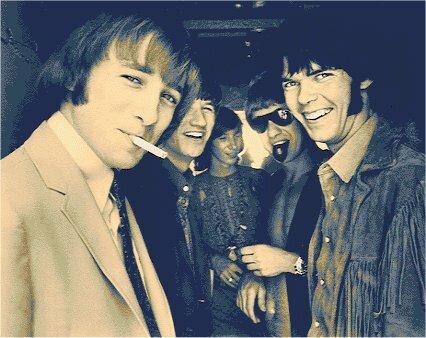 It may have been 42 years too long, but, Buffalo Springfield will reunite for Neil Young’s Bridge School Benefit in Mountain View, California on Oct. 23 and 24. Original members Neil Young, Stephen Stills and Richie Furay will perform. According to Furay, Young’s longtime bassist Rick Rosas will sit in for the late Bruce Palmer and Crosby, Stills and Nash drummer Joe Vitale will substitute for the late Dewey Martin. While I will not be able to attend the benefit I am quite excited to hear this news. Maybe a tour? Man, that would be awesome. And then the remaining members of the Byrds can get together, add Graham Nash and play a tri-show between the Byrds, Buffalo Springfield, and an encore of Crosby Stills Nash Young and Friends. Well, a man can dream. Here is some classic Springfield (the Buffalo kind) to brighten up your night.